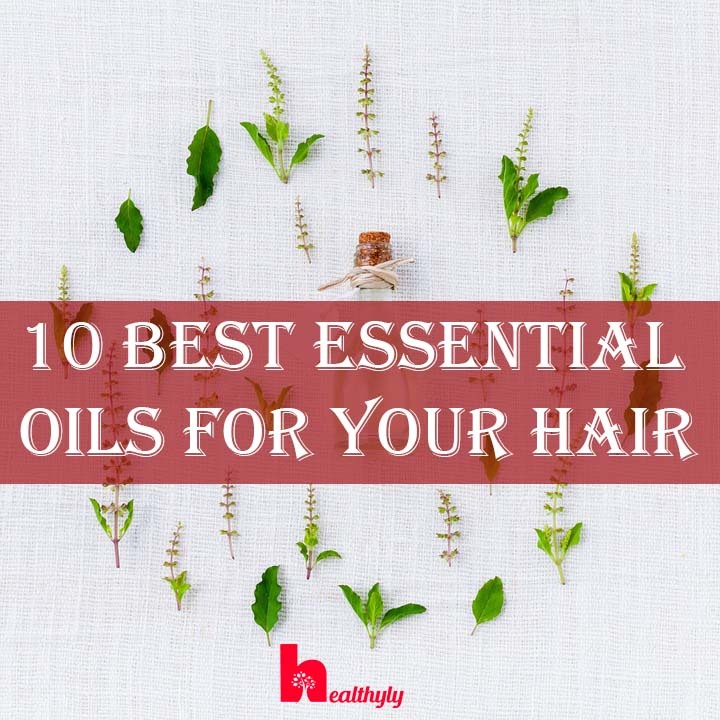 10 Best Essential Oils that will make your Hair Shiny & Lustrous Overnight! Essential Oils are the miraculous potions in the little dark bottles. The best essential oils for hair have come directly from the Disney stories. These are your personal Genie in the smallest bottle you own! You just need to choose the best one that fits the need of your locks! These essential oils are budget-friendly, have miraculous effects, they have come from natural resources, they are amazing stress-relievers, bound to treat infections, cast a spell with their heavenly aroma and are antimicrobial and antifungal in nature. 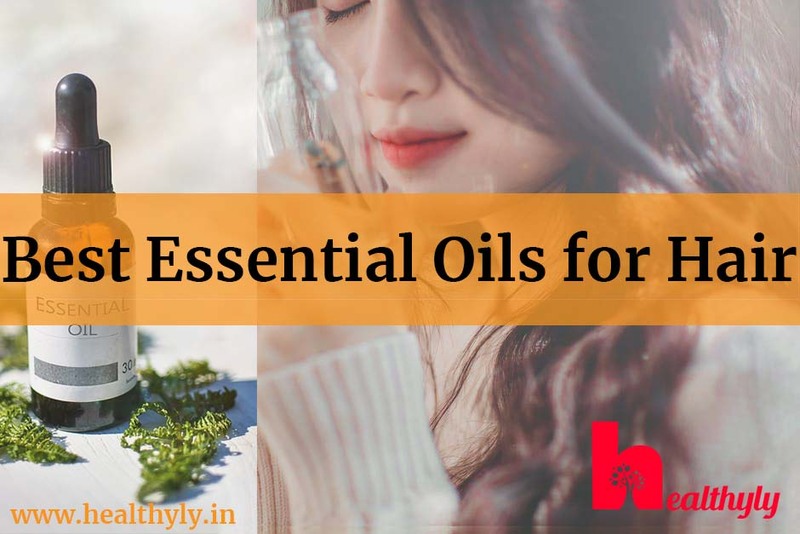 In this article, we are going to tell you how the essential oils are formed, which ones are the best essential oils for your hair, how to use them and what precautions should be taken while using them. So let’s dive in the aromatic world of essential oils. 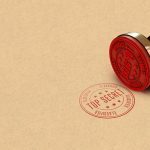 How are the essential oils formed? Essential oils are extracted by the process of distillation. The plant’s leaves and flowers are suspended over the boiling water, the steam that passes through them makes the essence of the plants to evaporate, these vapors are then filled in the bottles. The water is then separated from the essential oils afterward. Then you get those incredible elixirs, capturing wonders for your hair, skin, body, and mind! You can grab more detailed information about the essential oil formation process here at HowStuffWorks. Lavender is the king of essential oils for hair as well to produce a calming effect. 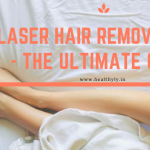 It contains Linalyl acetate which helps in soothing the scalp, increase hair growth, stress buster, and a perfect dandruff solution as stated in this recent study. Add a few drops of ylang-ylang essential oil with a few drops of coconut oil and make your very own hair conditioner. This oil stimulates oil production, so it is a boon for people with dry hair but a no-no for oily maned beauties! Apart from nourishing your scalp, ylang-ylang improves the texture of your hair thus making them more manageable. Works best with warm oil massage. If you are a nature lover, then rosemary maybe your genie! The fragrance of rosemary oil on the greeny, woody side, more like a walk in the deep forests. It thickens hair, good for dandruff treatment and prevents premature greying of hair. Rosemary also stimulates hair growth by initiating cell multiplication which is why it has been proven beneficial in baldness treatment along with popular medicine minoxidil, as this study states. Simply massage it on your scalp and leave it overnight. Good for people with excess oil production, as it controls the excess oil and makes your hair grease-free for the days to come. This one is not for the faint-hearted as this has a very strong aroma, which is why it is used to treat hypertension. Just a few drops of this essential oil has the capability of relaxing the nervous system and normalizing the blood pressure. Imagine what it can do for your hair! This tallest flowering plant on earth has incredible antibacterial properties, relaxes your scalp nerves and moisturizes your hair. It is the worst enemy of fungal infections, so say goodbye to the itchy scalp and dandruff too. For the other health benefits of eucalyptus oil, refer to this detailed article on medical news today. This one is for the women(or men) with delicate fragrance tastes, and who have a liking for fruity, sweet scent. Chamomile essential oil will make your hair shiny and stress-free in just one use. Be cautious while stepping out after applying it in your hair, as it is used as a natural bleach for hair. It lightens the hair color when exposed to the sun. So if you are a hair-color fan and try something natural, then chamomile oil is for you! However, if you are looking to color your hair on the dark sides naturally, refer to this article. So, if you always wanted an apple or melon like a delicate fragrance that can create a luster to your hair and is easy on the scalp, then your prayers have been answered in the form of Chamomile oil! Everyone is familiar with the Peppermint fragrance, thanks to those peppermint candies we used to have in our childhood. Peppermint oil has high menthol content which gives your scalp a cooling sensation. This helps in relaxing the mind and clearing the blocked pores. This powerful essential oil is every bug’s nightmare as neither head-lice nor the home-spiders can handle this strong aroma. Needless to say that no mosquitoes will come near you when you have peppermint oil on your scalp. Latest studies have proven that it promotes hair-growth without causing any side-effects on the body. As a bonus, it clears sinuses and works as fast as in 5 minutes! This essential oil has an earthy, woody aroma. It is known to improve blood flow in the scalp thus good for hair-loss treatment. It is anti-fungal and anti-bacterial in nature, so it serves pretty much every solution for all hair problems. If using for hair loss, try blending warm coconut oil with it. This kitchen herb doesn’t just uplift your dish but it is a great hair growth serum too. It has a strong Herbie aroma and it prevents hair-loss like a pro! Blend with your favorite carrier oil or make your very own essential oils blend. Thyme oil blends well with pretty much every essential oil, so go ahead experiment and discover your best blend. These beautifully straight plant leaves have citronella oil in it, which works wonders in soothing your senses. Recent studies on lemongrass oils have proved that even 10% of lemongrass oil-based hair tonic is the most effective remedy for dandruff. Just mix a few drops in your conditioner and enjoy. Shows best results when used daily, either with your carrier oil or with a conditioner, the choice is yours. Another strong soldier in the anti-dandruff brigade, this antiseptic root oil will keep those itchy flakes at bay! Needless to say that this golden spice oil is a unique choice and getting popular among the latest lists of best essential oils for hair. Other than these oils, some other oils are also quite popular for Rupenzul like tresses! Some of them are Lemon Oil For greasy hair or Bergamot oil for nourishment or Tea-Tree oil for dandruff & acne. Please tell us in the comment section which one is your favorite? All natural hair deodorizer, If you have lavender oil in your hair, who needs an artificial perfume. How to use your essential oil with carrier oils? The essential oils need to be diluted with any of the base oil (known as the carrier oil) as they are quite strong and concentrated. Add a few drops of the essential oil in one tablespoon of the carrier oil. Massage it over scalp and Keep it like that from 10 minutes to overnight, as per your convenience. Twice a week would be the best! Almond Oil – it can reduce the aroma of your essential oil but it has a blast of vitamin-E in it thus making it an intelligent choice. Sunflower Oil etc. For more details about the carrier oils, read this article on Healthline. Add them to your shampoo or conditioner to have the goodness of oil every day. Add your favorite oil in a spray bottle with rose water to freshen up your hair. Always dilute it with a carrier oil. Do a patch test of the essential oil on your arm by applying just one drop and leave it overnight to check for any redness or rash. If you are allergic to a particular ingredient for example thyme, you will be hands-down allergic to its essential oil too, so don’t go near that thing! Don’t use the essential oils on your child, unless advised by the pediatrician. Don’t use essential oils when you are pregnant or ask your ob before using any. If you are suffering from diseases like epilepsy, migraine or blood pressure, then take your physician’s advice before using the essential oils. Do tell us which essential oil is your’s, your mom’s or your granny’s favorite and how it works wonders for you. We would love to know the interesting tips. 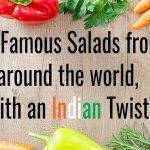 7 Famous salads from around the world with an Indian Twist! 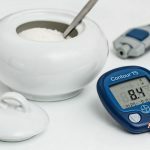 If you have diabetes, You must know this! DIY Wonder Scrub which will vanish your Body Marks & Blemishes forever! 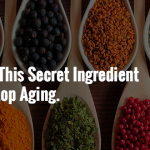 This one ingredient can stop your Age! This Secret Ingredient, which Reduces Cholesterol in just a few Days! Becoming Vegan? 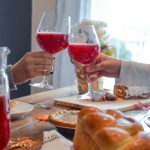 Check out this ultimate Vegan lifestyle guide & Food facts! 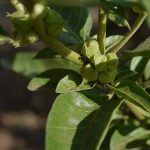 Ashwagandha : 15 benefits and uses that are scientifically proven to cure various diseases.